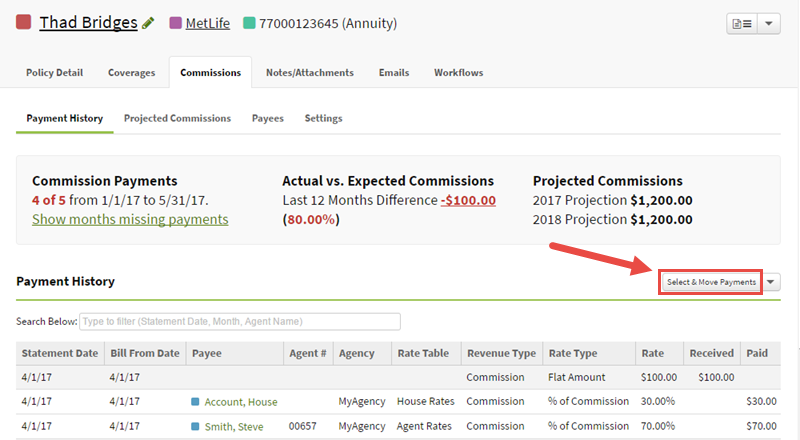 We made a few changes to help you manage and process commissions along with a few general updates and fixes. If you process commissions, there may be situations where you need to move commission payments from one policy to another. You may need to do this when there is a mistake processing commissions (we’re all human) or there is a duplicate policy. We've heard that this can be a cumbersome or difficult process that could be made easier. Now, you can move commission payments from one policy to another. You can select to move all the payments on a policy or just the ones you need. Learn more about Moving Commission Payments. Also, we made a few minor maintenance updates and improvements to keep AgencyBloc running smoothly. We perform regular maintenance to ensure the best experience when using AgencyBloc. As always if you need anything, please let us know. We're here to help.